In March 1985, a meeting between the Arizona Water and Pollution Control Association and the Colorado River Basin Section of the California Water Pollution Control Association was held in Yuma, Arizona to plan a training seminar for rural operators in Arizona, California, and Nevada to be held in or near Laughlin, Nevada. In September 1985, a two-day seminar was held in the Bullhead City Chamber of Commerce Building with about 120 people in attendance. With an introduction to the Riverside Resort in Laughlin, the next several seminars had a handful of concurrent sessions presented there. As the seminar grew, 9 concurrent sessions were held at the Riverside Resort and at Sam's Town (now River Palms) Resort. In 1988, 54 tabletop vendor displays were introduced in the Starview Room of the Riverside Resort. Following several years of limited access for vendors wanting to display, the Ramada Express rotunda was used to accommodate more tabletop displays. This lasted only one year until displays at Sam's Town were offered, both inside and outside! After holding the Tri-State Seminar in Laughlin for over 20 years, more training space was needed for the increasing attendance and requests for more display space. Primm Valley Resorts was chosen to accommodate the Tri-State Seminar beginning in 2004. Not only was more training space available, vendors were given over 200 spaces for displays, both inside the arena and outside for the larger equipment displays. After 9 years of participation at Primm Valley Resorts, space became limited again and the desire for a new venue increased. 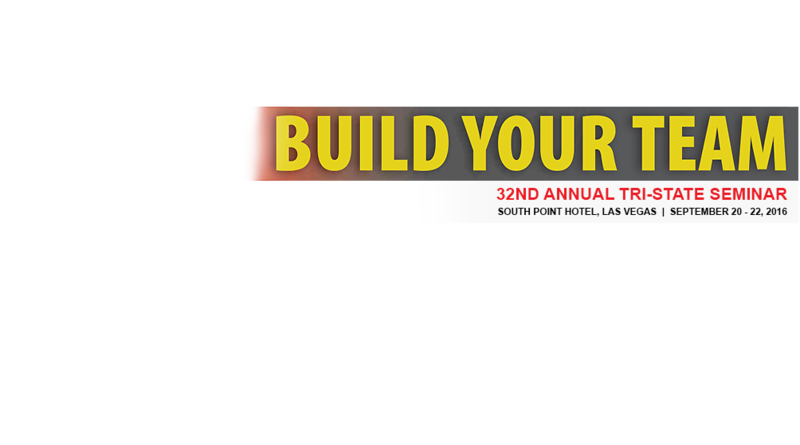 So, in 2013 the Tri-State Seminar was on the move again, this time to Las Vegas and the South Point Resort. The new venue allowed for increased attendance at 100+ sessions, more workshop opportunities, and 325 display spaces in one air conditioned exhibit hall!